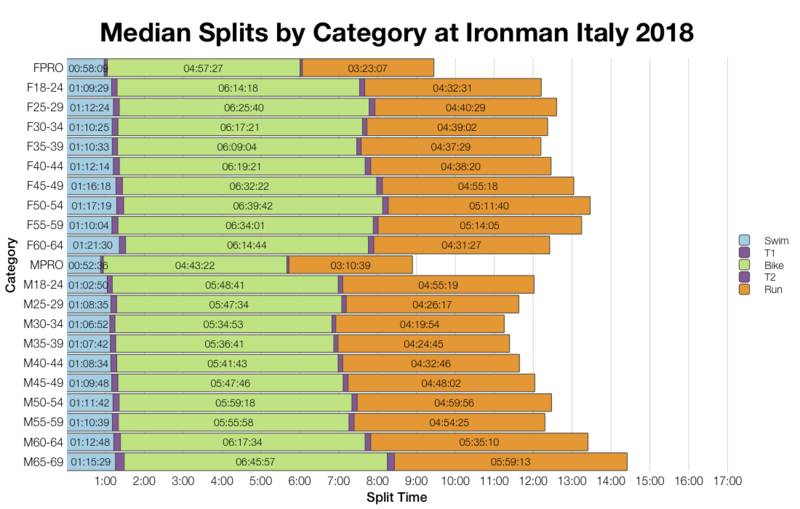 This is the second year for Ironman Italy Emilia-Romagna on the Ironman calendar. One of the newer races on the calendar with what looks to be a fast course. 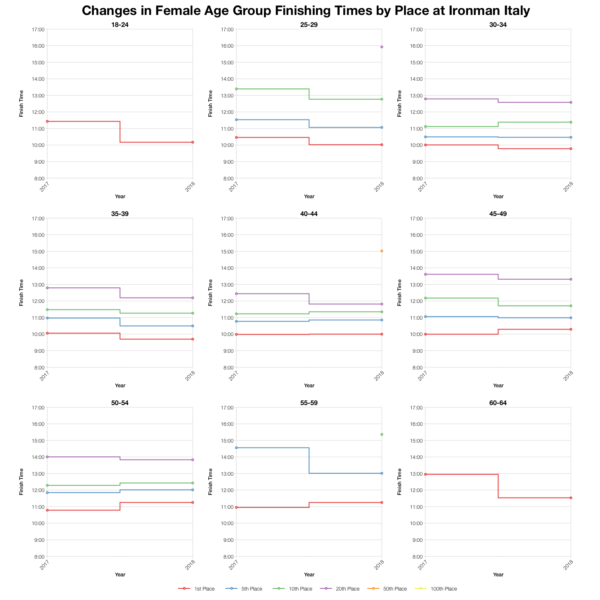 Ironman Italy is a large race with well over 2,000 competitors and the standard 40 Kona slots on offer for the 2019 Ironman World championship race. The main trends in this years distribution in comparison with the previous year is a slightly faster bike and a slower run. The differences in the run outweigh the differences on the bike leading to a race that appears to trend a little slower overall. This is only by a small margin in the order fo 5-10 minutes at most around the median. DNF numbers were up at this year’s race with both bike and run showing noticeably more dropouts on the course. Generally the medians reflect the differences seen in the distribution. Slower runs this year is a consistent pattern, the bike medians also tend to be faster. 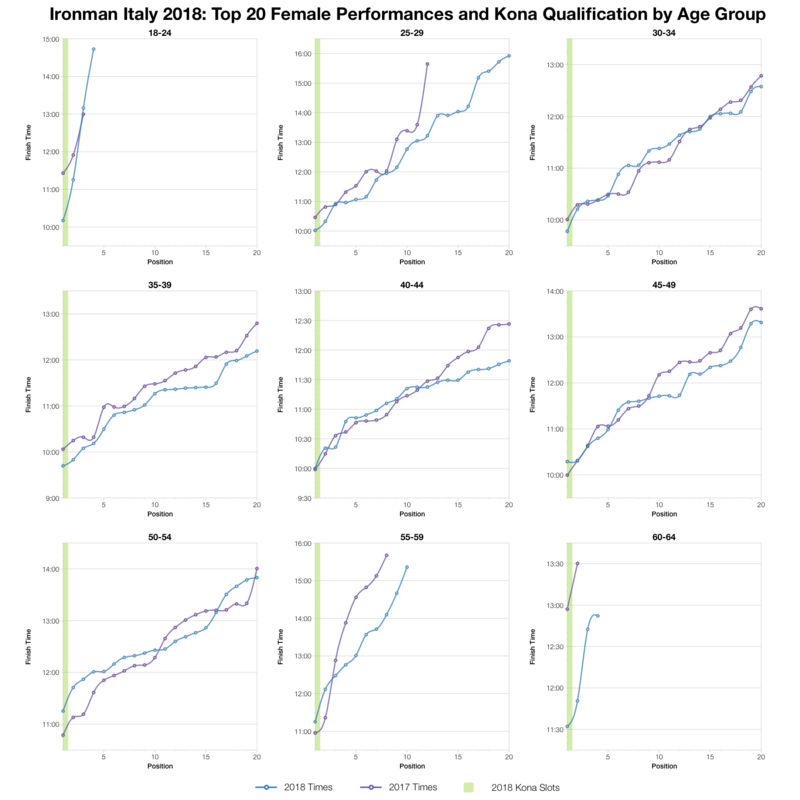 There’s a broad spread of nationalities competing in Italy with the Kona slots looking to have been distributed quite widely. 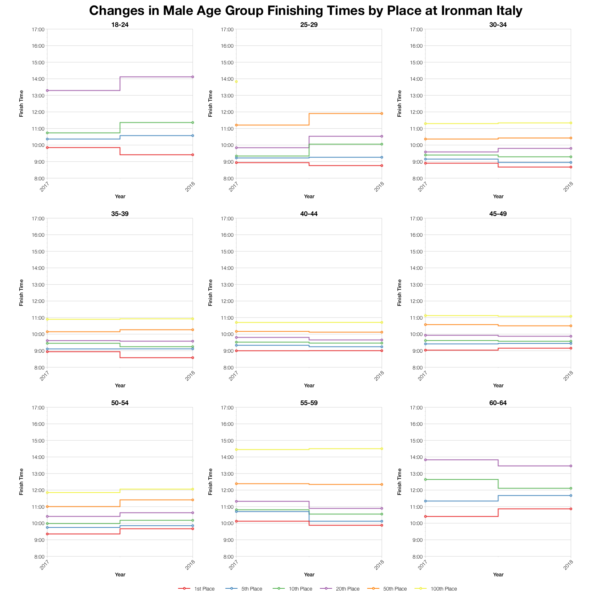 Tracking trends by positions shows more variability across age groups and position in the race. Towards the front there’s a much greater chance of a faster time this year than at the back and some age groups seemed to be faster across a wide range of positions. Still, over the entire field the weight looks to have been towards a very slightly slower race. Based on the start numbers I’ve estimated the Kona slot allocation. This is an estimate as I’ve not worked out precisely how the current distribution is being done. Final numbers may vary a little and roll down will affect final times. 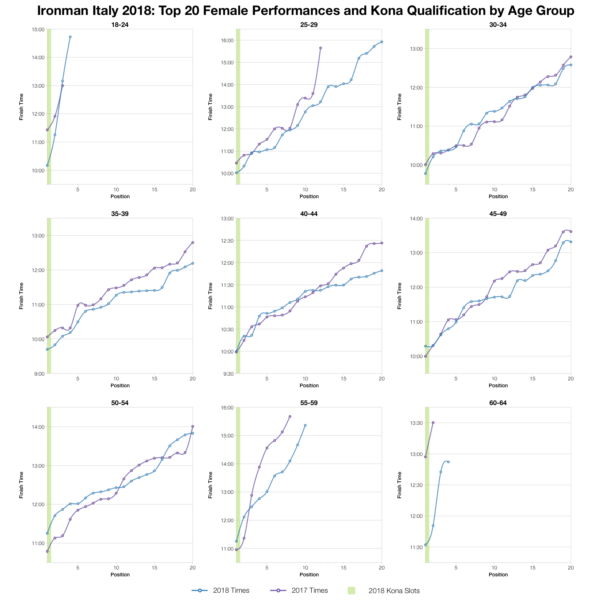 You can compare this with other Kona stats on my Kona qualification page. There’s a lot of variability in the age group top twenties. 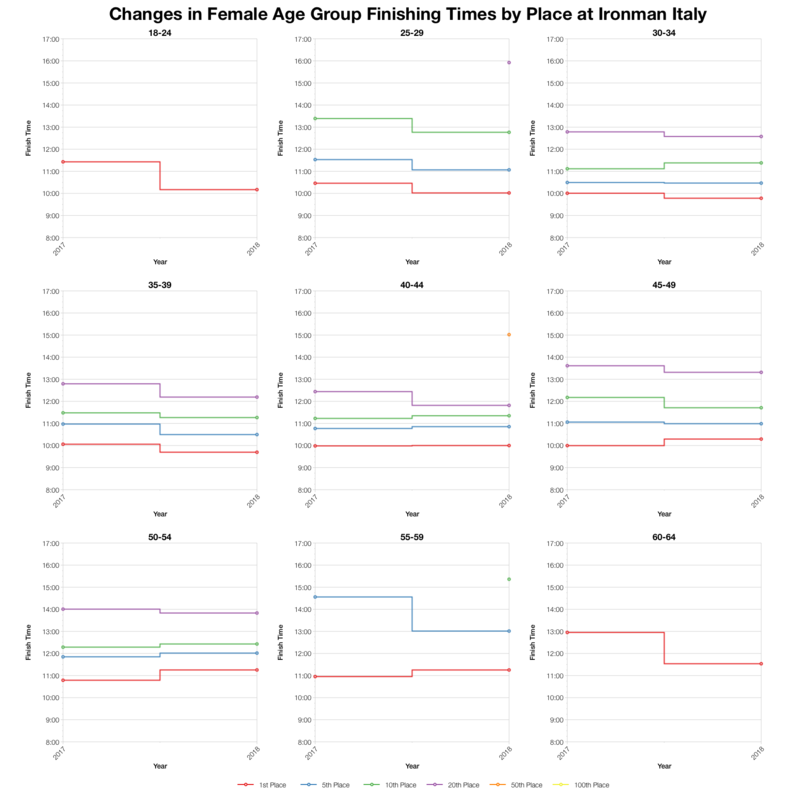 For most of the women’s age groups the two years trend closely. 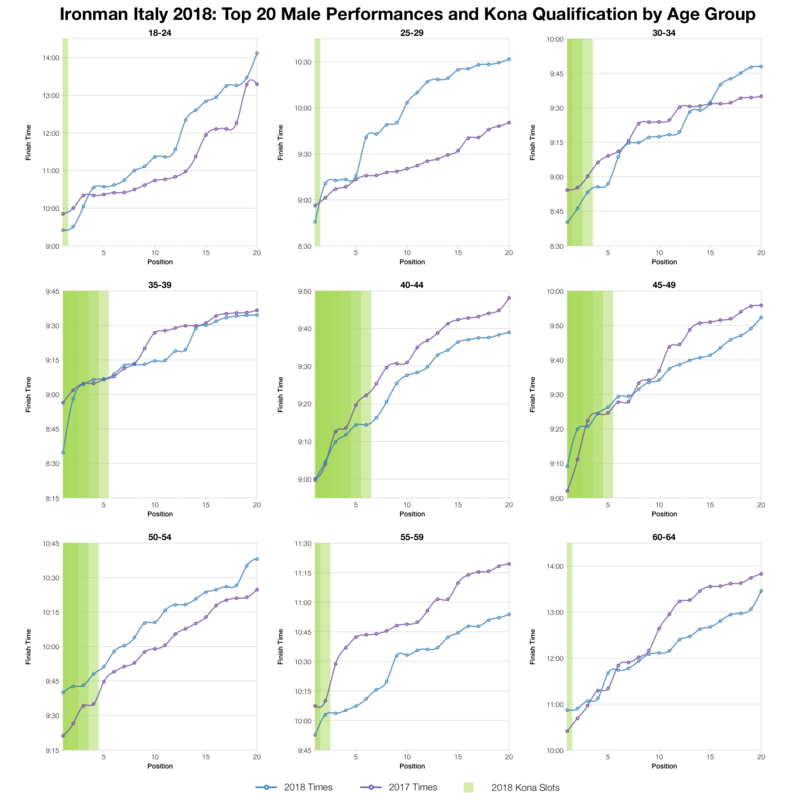 For the men we see the bigger variations with some age groups faster and others slower. In the biggest age group M40-44 times were clearly slower for all but those qualifying. 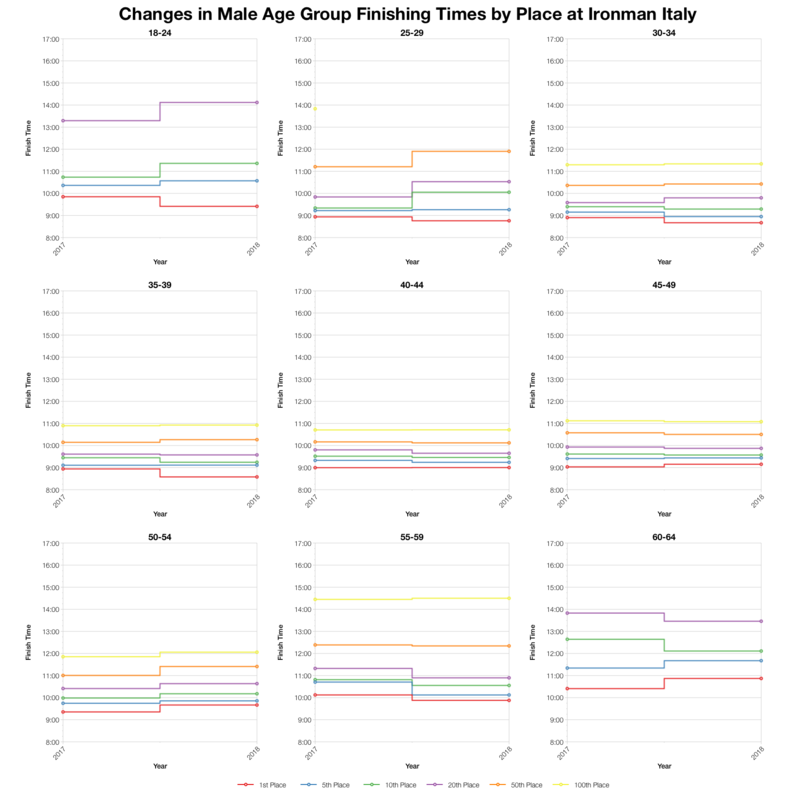 By and large front-of-pack racing matched the previous year. 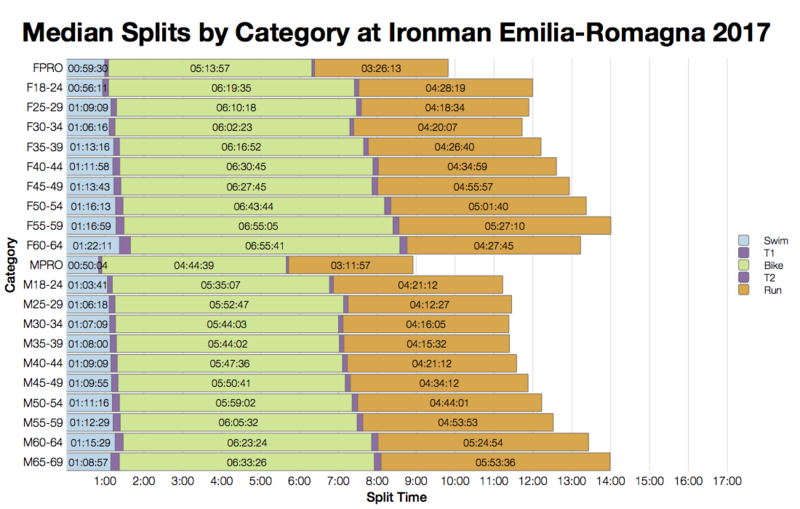 You can access a spreadsheet of the full results from Ironman Italy Emilia-Romagna 2018 on my Google Drive.